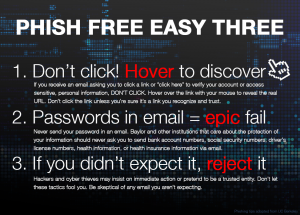 PHISH FREE | BearAware's effort to help you avoid phishing emails. BearAware's effort to help you avoid phishing emails. Baylor Information Technology Services is committed to protecting Baylor students, faculty, and staff online. 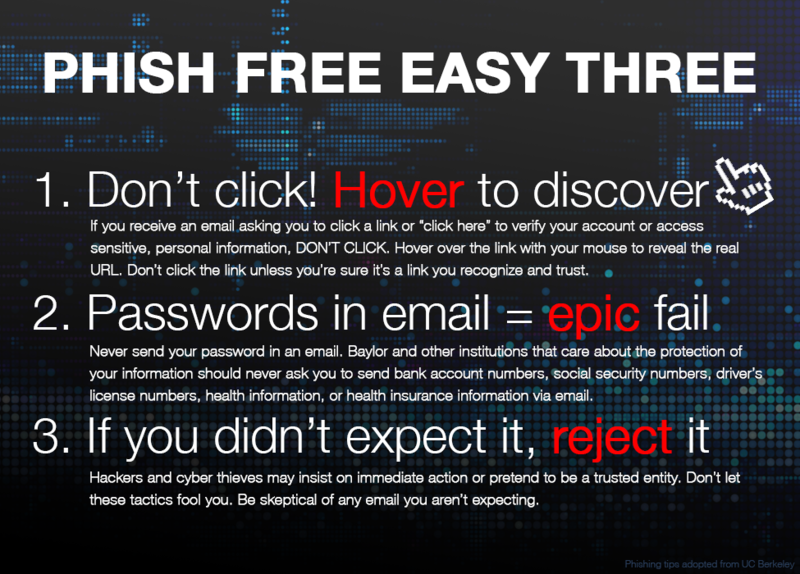 In an effort to decrease the number of compromised accounts, Phish Free is an informative resource for the Baylor community to learn about recent phishing scams and how to avoid them.